The outgoing head of Sony Ericsson says the company is looking at the PlayStation brand. Apple is widely presumed to be gearing up to announce UK details for the iPhone next week. If Sony Ericsson has its way, it might just have a competitor for the god-phone. Speaking to the Financial Times this week, Sony Ericsson's Miles Flint said that the company was thinking about bringing together the company's line of successful mobile phones and PlayStation technology. Flint stressed that there's nothing concrete yet but that it's something the company is actively considering. "We need to make sure that it is a credible phone, and be sure we are justified in putting that identity on it," Flint said. 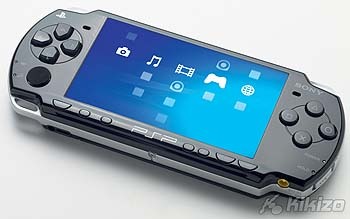 This isn't the first time that Sony has pondered an all-in-one device for games and communication. Recently Sony confirmed that it is working with BT on a software package called Go!Messenger, which will allow PSP users to do text, video and voice chat using the portable. Go!Messenger will be out for the PSP in January.